Polls for this year's midterm elections open Tuesday, November 6th at 7:00AM. 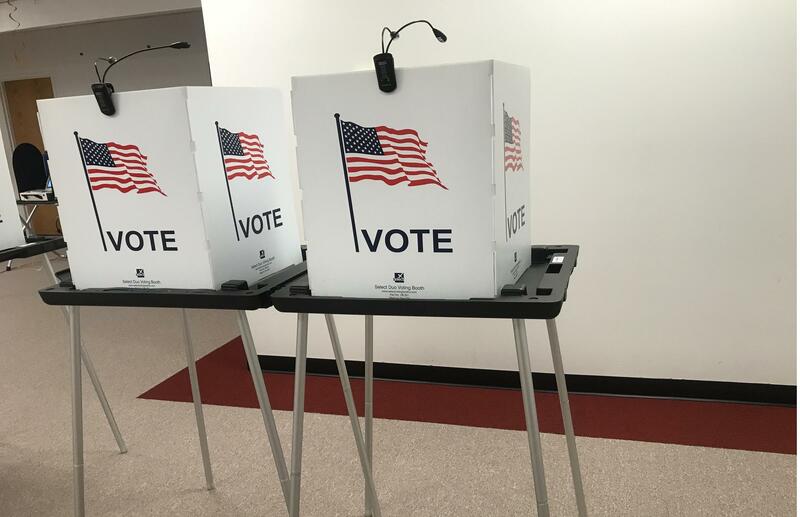 Today on Stateside, a voting rights expert with the ACLU shares what Michiganders should know ahead of tomorrow’s midterm election. Plus, a conversation with actor and comedian Marc Evan Jackson who plays Shawn, an all-knowing immortal judge, on NBC’s The Good Place. Sharon Dolente is a voting rights expert with the American Civil Liberties Union of Michigan. She joined Stateside to talk about what Michiganders need to know about their voting rights as they head to the polls for tomorrow’s midterm election. The Natural Law Party is still alive, but only in Michigan. WDET's Quinn Klinefelter brings us the story of John Howard Wilhelm, who is running for U.S. Senate under the Natural Law Party. Although the party dissolved as a political organization more than a dozen years ago, several candidates representing the party are running for state and federal office this election cycle – but only in Michigan. Michigan Radio sports commentator John U. Bacon recaps the latest in Michigan football’s “revenge tour” after a weekend victory against Penn State, and he shares what lessons all university administrations should learn from the the death of a 19-year-old University of Maryland football player after mistakes on the part of the school’s athletic training staff. Comedian and actor Marc Evan Jackson talks to us about his role on NBC’s The Good Place, his roots in Detroit’s comedy and improv scene, and how he’s giving back to the city now as co-founder of the Detroit Creativity Project. On this week’s episode of Believed, hosts Kate Wells and Lindsey Smith speak a survivor of abuse by disgraced sports doctor Larry Nassar. Kyle Stephens was not an athlete or a patient, but the daughter of the Nassar family’s close friends. Her story would become a turning point in the case against Nassar. Chris Thomas served as the director of the Michigan Bureau of Elections for 36 years, and Richard McLellan is a longtime election law attorney. The two joined Stateside at our recent live show in Ann Arbor to talk about their predictions and concerns for tomorrow’s midterm election, and their thoughts on the consequences of eliminating straight-ticket voting.